Serums are all the rage now. Every skin care line has a serum or two. I love the way they feel and work. They glide on your skin and tighten and firm. Then you put on a moisturizer or not. The serum just makes your skin feel like you just had a treatment. Clean, fresh and new. I’m now loving this one from Origins. $55.00 for the small and $75.00 for the large. You only need a bit so they so last a while. Serums are light and not heavy on the skin. Serums are worth every penny for smooth and beautiful skin. Plantscription is practical yet pricey. Anti-aging is worth every penny in my book! 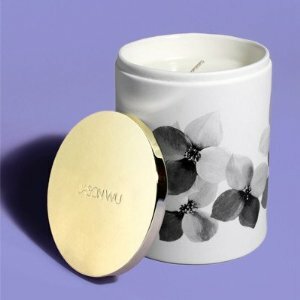 This week it is “All About Lips.” This smooth and silky light cream from Clinique is perfect to glide on your lips to increase a satin finish and also to diminish creases and lines. Peeps, this is not a ordinary lip balm! It is not even a balm. This product is a neat compact pump that keeps its neat and clean. I was given this wonderful simple and sweet gift from someone who was “All About Lips” on their mind. It seems to be contagious. OMG! I’m in outer space with this flavor. First of all Bubblegum. . .with MINT! Then it also WHITENS your teeth while your are having fun. This gum is great for bubbles, snapping, cracking, and anything else you would like. Go treat yourself to a 3 pack and get cracking! Everyone loves this flavor, and you will be very popular when you start handing this out to new friends. Blast off with Orbit. It is a nice treat and will brighten up your smile. Duane Reade here I come! TREAT OF THE WEEK – THIS BOOK IS BANANAS! A Woody Allen history lesson for less than $10 bucks! Now that’s a New York bargain. 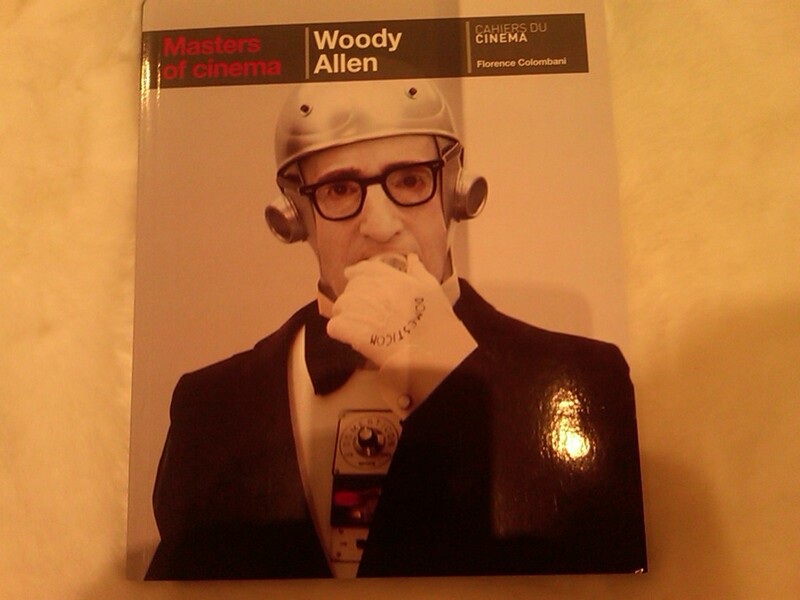 The Masters of Cinema put out this book which caught my eye in Marc Jacob’s “Bookmarc” store. I saw the great price and snatched it up for a gift for one of my best friends. She loved it and happens to be a real New Yorker and a real Woody fan. The cover from “Sleeper” made me get kooky in the store. Sleeper was one of my favorites, and I think the first Woody films I saw as a kid. I found this book on Amazon.com, and now you can run and get the under $10.00 lesson. I ran and bought 2 more. One for myself and one for a gift for whoever is naughty and nice! Color My World! 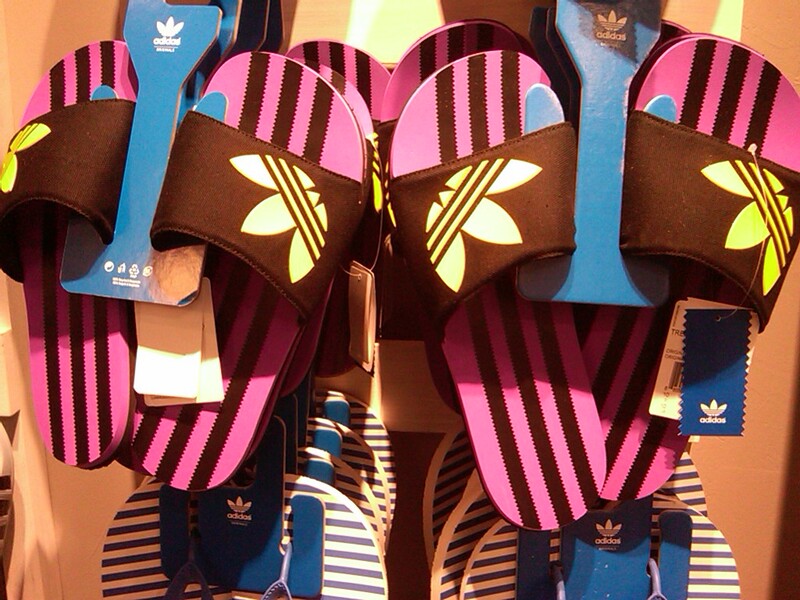 I stumbled on these TREFOIL SLIDES by Adidas in their “Originals” store in Soho. I was loving but also afraid of color!! Would I do it?? I decided to sleep on it, and all I could do was dream of Fire Island in color. I wanted to be “original” and everyone will have the “Brazilian” versions. I then ran back to the store for these $25.00 burst of color. I also felt safe that there was Black in the mix. Easy to match! After all the color, my eye went right to the crisp White version. Two treats. Yep!